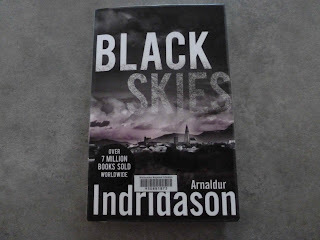 The Little House of Concrete Bookshelves: Arnaldur Indridason "Black Skies"
Set in pre-crash Iceland in 2005, with Erlendur away on an extended and ominous trip to the east of the country, and Elinborg working on the case described in Outrage, Black Skies has Sigurdur Óli drawn into what appears, at first to be a rather straightforward case of blackmail gone wrong. Approached by Patrekur, an old school friend, Sigurdur Óli is inveigled into delivering some unofficial assistance to help Patrekur's sister-in-law, who has political ambitions, and her husband, who are allegedly being blackmailed after becoming involved in a wife-swapping circle. 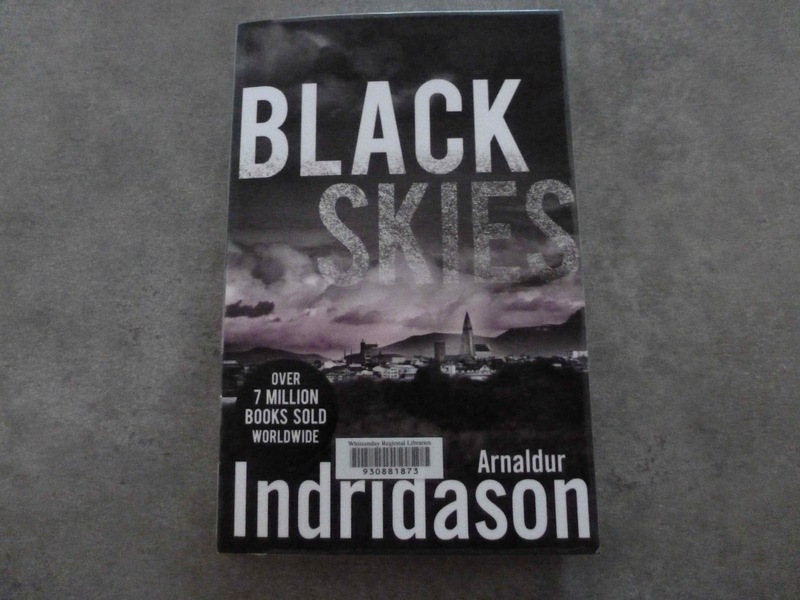 Sigurdur Óli visits the blackmailers' home, blundering into the middle of a brutal attack, which subsequently develops into a murder investigation. That investigation is the strand that holds the story together, but as you'd expect there are other elements that interact with it, including Sigurdur Óli's breakup with his long-time partner and the actions of Anders, a derelict alcoholic who regularly appears at the police station, looking for Erlendur and babbling about an evil man who has ruined his life and although the priggish Sigurdur Óli has little sympathy for such people he is drawn into an attempt to help him. Sigurdur Óli has never been a likeable character, but as that strand unfolds it does so in a manner that explains his personal quirks, though you don't (or, at least, I didn't) find yourself liking the man. But you can understand why he is that way, which is something, and a little more than can be said for the real villains behind the main plot line, some of the lesser players among the new Vikings, who are driving Iceland's on paper economic boom that's on the verge of going bust, ruining the country's economy and the lives of many of its citizens.